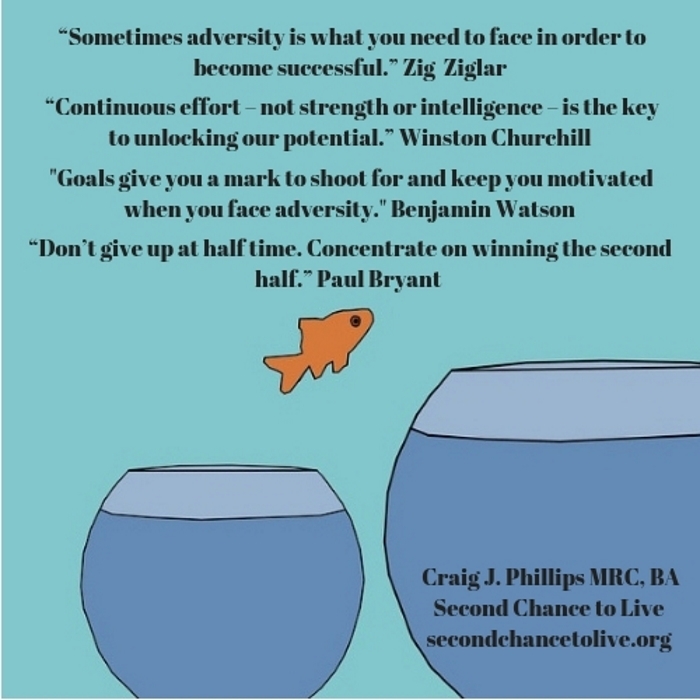 On February 6, 2007 I created Second Chance to Live, at the encouragement of a friend, to share my experience, strength and hope. To chronicle the beginning of Second Chance to Live I decided to begin writing a series by the name of My Journey thus Far. Below this part, Part 1, are links to the other 9 parts of the series. 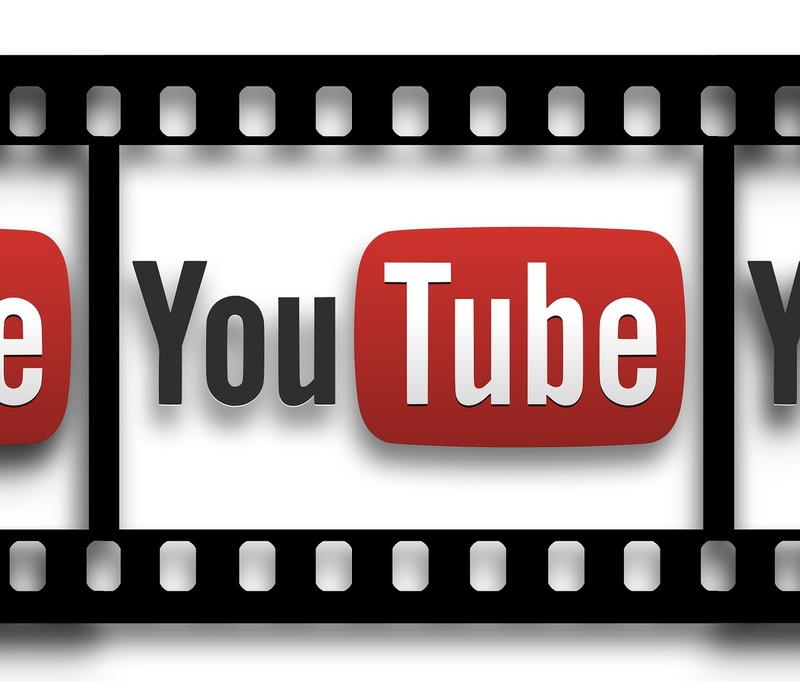 Click on each of the links and each part will open for you. As you read each part and questions come to mind, please send those questions (in a comment) to me and I will answer them. All questions are good questions and welcomed. 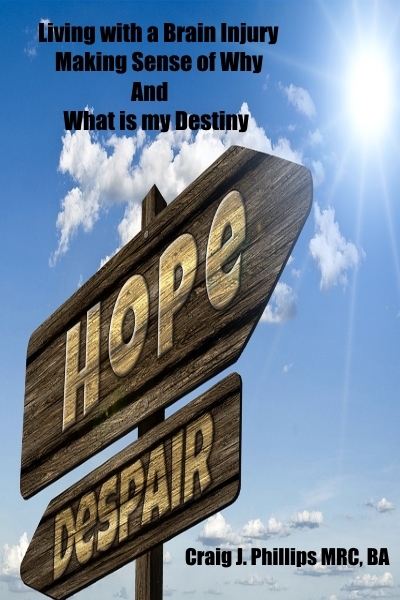 During my lifetime, I have been confronted with challenges, obstacles, and disappointments. In the scope of this brief autobiography I will share some of these events and circumstances. The purpose of sharing my experiences with you is not to blame, shame or to point a finger in anyone’s direction. I have found that little benefit comes through such behavior. Living life on life’s terms, to me, means that I deny the notion that I am a victim of my circumstances. I have also arrived at some simple but profound conclusions. It is my belief that I cannot hope to know until I have learned the lesson. These lessons have often come through the pain of struggle. I have also come to believe that life is best understood backwards, and that is good enough for today. I also believe that perfection is a myth that if sought after will only bind one’s soul. Pursuing excellence on the other hand encourages creative expression and creative expression gives meaning to all life. With this being said, I will begin. I learned at an early age that good was not quite good enough. 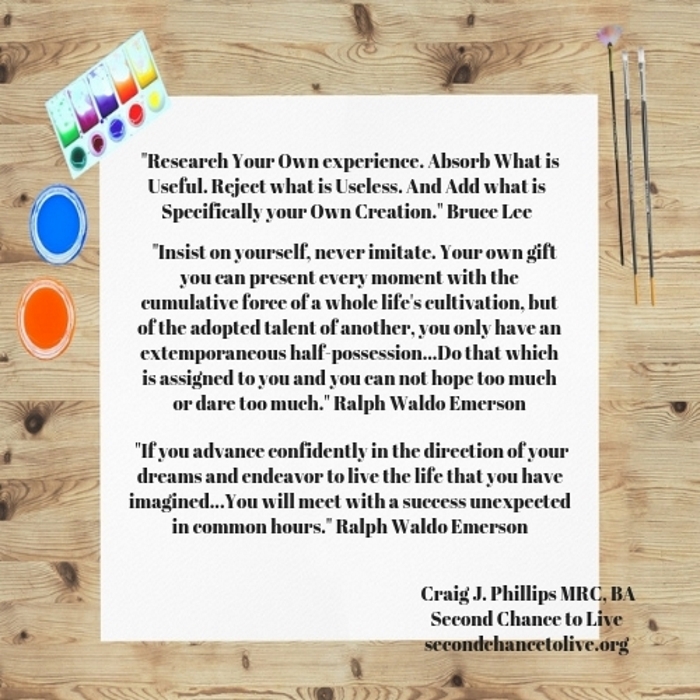 I was also led to believe that my meaning and purpose was connected to what I accomplished. Because my best was seldom good enough, I rarely believed that I was quite good enough because I did not live up to expectations. In the context of measuring up to expectations, I was led to believe that it was my responsibility to take care of other people emotionally before I could hope to have a sense of well-being. If someone was out of sorts emotionally, I internalized responsibility for their distress. Consequently, I would attempt to fix them emotionally. If I could not appease or “fix” them emotionally, I would be blamed for their irritability, restlessness and discontentment. I would then in turn shame myself for not being able to “fix” them emotionally. These combined messages kept me confused, bewildered and anxious, as I was rarely able to meet their expectations and/or able to “fix” anyone emotionally. A significant event occurred when I was 10 years old that further complicated my ability to grasp social cues and be consistently successful inter-personally. My family was in a motor vehicle accident. Upon impact — the Cadillac hitting our Volkswagen Beetle — I was catapulted from the back seat to the windshield. On the way forward, I fractured my left femur (thigh bone) on the back of my Dad’s bucket seat and then hit the windshield. As a result of making contact with the windshield, I sustained an open skull fracture. The consequences of my skull being fractured resulted in damage to my right frontal lobe (executive center functioning), a severe brain contusion (bruising of my brain as it was jostled against the inside of the skull), and some brain stem involvement/damage. I was in a coma for 3 weeks, traction for 6-7 weeks to set my femur and then placed in a spica or full body cast for 4-5 months. Shortly after being placed in the full body cast, I was transferred to another hospital where I underwent brain and skull surgery. In follow-up to the brain surgery, I underwent a battery of tests (EEG’s and cognitive/ psycho/social) to determine the damage to my brain, my cognitive skills and my social function capabilities. The results from these tests were given to my parents. My parents were told — that due to the extent of my brain injury — I would probably not be able to succeed beyond high school. My parents made the decision — at the time — not to reveal the findings of these tests results. I did not become aware of the results from these tests until after I obtained my Master’s Degree in Rehabilitation Counseling — some 29 years later. Filed Under: My Journey Living with a Brain Injury Tagged With: Acquired Brain Injury, acquired brain injury and feeling alienated, adult children of alcoholics and traumatic brain injuries, Adult Children of Alcoholics living with traumatic / acquired brain injuries, brain injured soldiers, Brain Injury caused by exlosions, Brain Injury Concussions and Sports, Brain Injury Education, Caregivers for people with traumatic / acquired brain injuries, celebrities with brain injuries, characteristics of traumatic brain injury, combating brain injury isolation, determination in the face of setbacks, Empowerment and Inspirational Speaker, Families impacted by brain injuries, flash explosion leading to brain Injury, Fulfilling your Destiny, head injury, Healthy Self-Care, Identified Patient, Invisible Disability, learning disabilities, Learning to Accept Yourself as a brain injury survivor, Learning to Love Yourself as a brain injury survior, life challenging experiences, living life on life's terms, living with a brain injury, Living with a Disability, Living with a Invisible Disability and feeling shame, living with a traumatic / acquired brain injury, Living with a traumatic brain injury and feeling shame, Living with an Invisible Disability, living with meaning and purpose, Meaning and Purpose, messages of hope and inspiration, Mild Traumatic Brain Injury, Military Personell impacted by Traumatic Brain Injuries, Military Traumatic Brain Injury Support Meetings, Motivational / Inspirational Speaker, No Longer a Victim, Overcome Being Bullied, Overcoming Societal Stigmatization, Parents of children with Acquired brain injuries, Post Traumatic Stress Disorder, Post Traumatic Syndrome and Suicide, PTSD, Revealing your Destiny, self-esteem, Self-Respect and Significance, Soldiers and Marines who sustained traumatic brain injuries, spinal cord injury, spiritual progress rather than spiritual perfection, stroke, Subdural Hematoma, Suicide and Hope, tbi adults, tbi children, tbi families, tbi veterans, traumatic / acquired brain injury, Traumatic / Acquired Brain Injury and Anger, Traumatic Brain and Comfort, Traumatic Brain Injury and being Bullied, Traumatic Brain Injury and Comfort, traumatic brain injury and frustration, Traumatic Brain Injury and Hope, Traumatic Brain Injury and Significance, Traumatic Brain Injury and What is my Destiny?, Traumatic Brain Injury and You, traumatic brain injury feeling alienated isolated, traumatic brain Injury in adults, Traumatic Brain Injury in children, traumatic brain injury in schools, traumatic brain injury Iraq, Traumatic Brain Injury Research and Resources, Traumatic Brain Injury Self-Esteem and Self-Worth, Traumatic Brain Injury Support Groups / Meetings, traumatic brain injury treatment, Veterans Living with Brain Injuries, What is my Destiny? Sounds like a tough life; full of struggle. It’s only now that I’ve come to terms with my own existence; many demons, legacies of the past when I had not the tools to deal with the circumstances that arose. I’ve had the same low self-esteem and the need to push myself for self-validation. It can be a spur to greatness; to make a large contribution to life. This is a very powerful piece of writing. Congrats. I have added you to my Blogroll and I hope to send some visitors to your blog. You have much to share with the world. Hi, You are doing a wonderful job Craig. I know along the way you have helped me more than you will ever know. God will bless you. You are one of a kind and many will read what you write and be blessed with it. Hello Craig! … and thank you for taking the time to visit my webpage. As you seen at your visit, I had not been actively involved with my site for the past few months… for various personal reasons… I stepped back for awhile. After visiting your site and reading thru your posts… (and some serious soul searching) I am back at the helm and re-activating the site. I am sure we will be “visiting” each other often. I have also added your website address to my list of “favourites sites” I like to refer people to from my own site. Hello Craig. I found your block interesting. You have travelled quite a journey! Your subject is very important.I wish your work all the best also from now on. walk. There’s nothing wrong with his spinal cord. It’s just so that he got a great bleeding in his brains which could not be operated. I wanted to write to you after receiving an email from my Mom. She could not recall anything specific that led to my being able to walk on my own. All she could remember is that I learned how to walk one step at a time, until I could walk without any help. My Mom told me that my determination played a big part in this process. Determination also played a major role in my experience as I taught myself how to talk and speak in complete sentences after the accident. In my experience, it just took time, patience and determination. 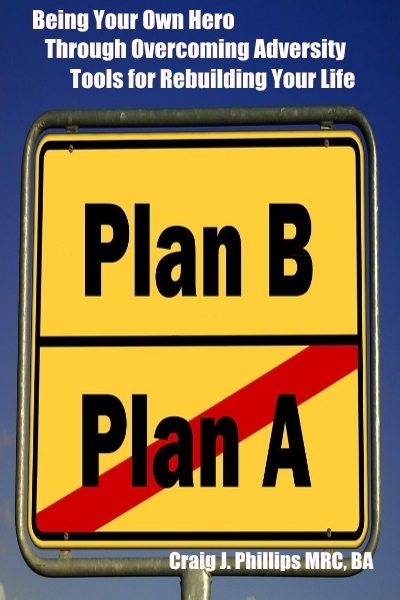 Pirjo, each individual who experiences a brain injury has a different outcome, depending on the type of injury. You probably already know this reality. I do not know the specifics of Eero’s injury. I am not a Dr. and I do not know much about the complexities of the brain. Your physiotherapist working with Eero’s neurologist knows the best treatment plan for Eero. I am sorry I can not give you more specific, but I am not qualified to give you and specific recommendations what will work best for Eero as he learns to walk. Pirjo, I am honored that you asked for my experience. Eero I am proud of you for the effort that you are putting forth as you go to your physiotherapist appointments. I have learned that it is in my best interest to stay in today. All you and I can do is our best, just for today. Keep up the good work. Please keep me posted on Eero’s progress Pirjo. Thanks so very much and God bless you both. I have copied and pasted my post, Small Successes. Be encouraged. You are a winner! Craig, your story is inspiring. People talk of being motivated by others but I think what comes through this post to many of us is more than motivating… it’s inspiring, empowering and life-changing. You know what? I think your life is perfect. There’s nothing you need to change or do. All you need is to simply BE. By simply being, you are sending spiritual energy that is changing your environment. I always believe that we are perfect imperfections. The road you have traveled seems to have been trying in so many ways and at so many levels. It’s important to know that it’s that road that produces many blisters which is the most beautiful path for us to walk on. Our journeys on this earth are different but blessed are those who will embrace their journeys, with all the failings, successes, challenges and victories, and use it to inspire others. You ARE! Continue BEING! Your life is magical. Thanks for being a part fo my life! Thanks for sharing your story of challenge and success. In sharing your experiences, you give others hope. That is what my blog is all about. I have my own biography story that I told in one of my articles. 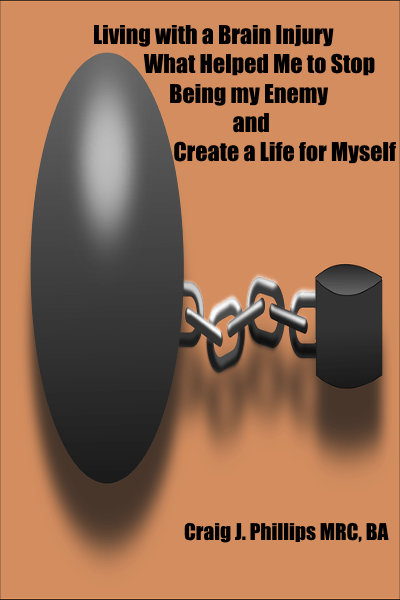 As you do, I write about my experiences to show people that they can overcome all kinds of obstacles to become a better person. James just turned 19 years old sept 23rd. he opens his eyes, he yawns, he coughs, he moves, but yet is still in a coma… Do you remember anything when u are in a coma? im wondering if james know’s im there with him, i do belive he knows im there because sometimes it looks like he is looking at me. They said that he shjouldnt even be alive with his brain injury, he finaly got tooken off life support…and is nreathing all on his own.. im scared because they said he may never be the same.. he hurt is left eye in the car aiccdent so there is that possibalty he may be blind, because his eyes are not respodning to any light. please get back with me asap. because i have no idea how i got here, just clicking on links. thank you very much! Thank you for writing and leaving a comment. I am honored. Thank you for telling me about James. I do not remember anything when I was in a coma. I do not know what type of brain injury your fiance experienced Sarah, but from what I have learned over time people in comas can hear when you speak to them. I am sorry you are hurting and that James remains in a coma. I can understand why you are scared Sarah. In my experience as a traumatic brain injury survivor I have found that taking life one day at a time makes living manageable. More will be revealed with time to you Sarah. Please try and stay in the day and make sure you are taking care of yourself (getting enough rest, eating healthy foods and talking about your feelings with other caregivers). You are grieving loses — James never being the same again and your hopes and dreams before the accident occurred. Please make your mental health a priority Sarah. Try and get within a support group for caregivers and friends of loved ones. 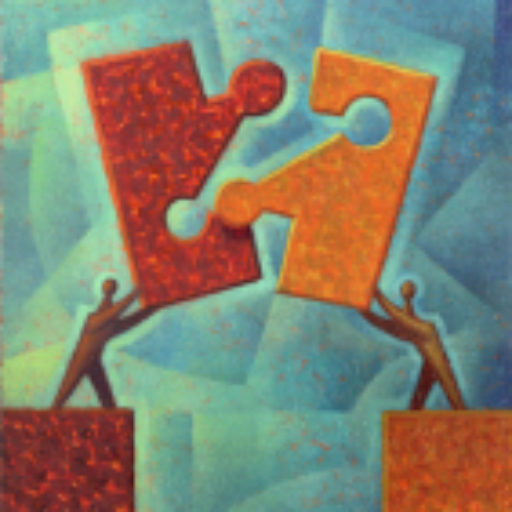 The social worker in the hospital should be able to get you connected to support groups. I would also encourage you to spend time writing in a journal every day. Writing in a journal helps me because I am able to process my feelings and my thoughts. My heart seems to connect with my head when I write in a journal. And most of all, please try and be gentle with yourself in the days and weeks to come. 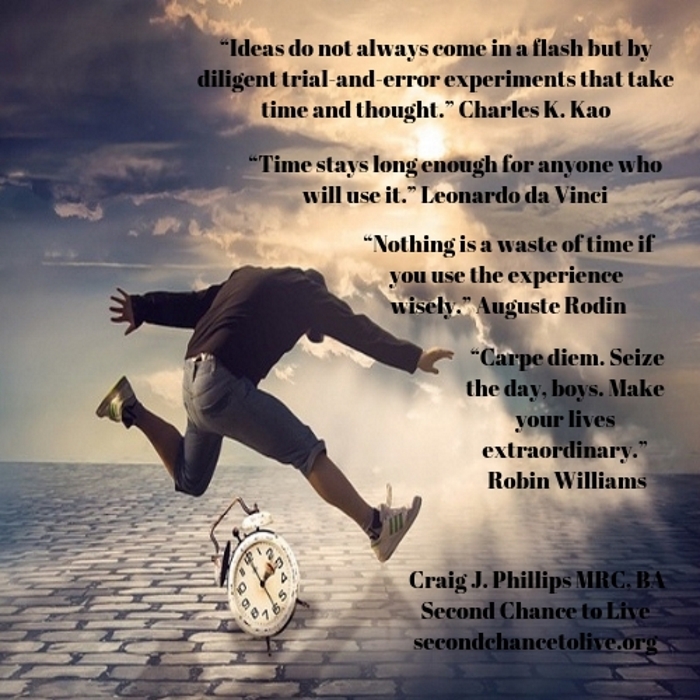 When you get time, read through Second Chance to Live. 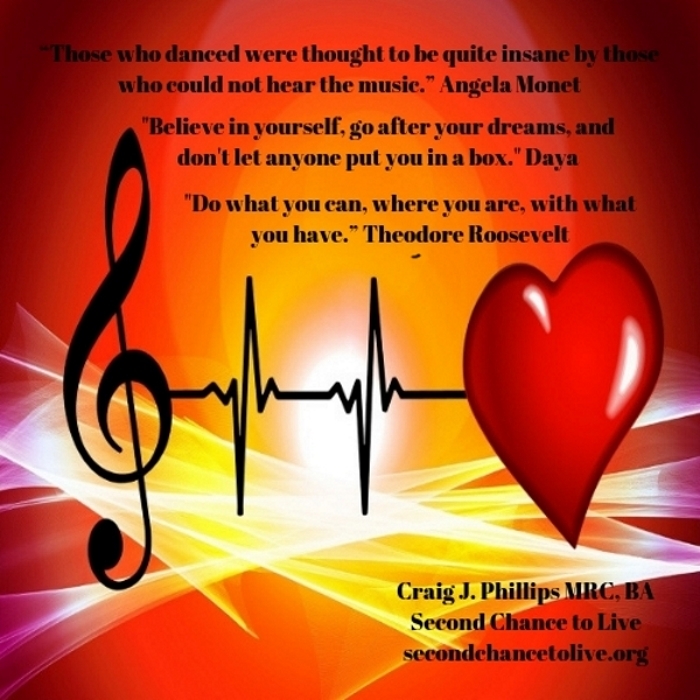 Visit my Site Map http://secondchancetolive.org/site-map/ and read through my articles. 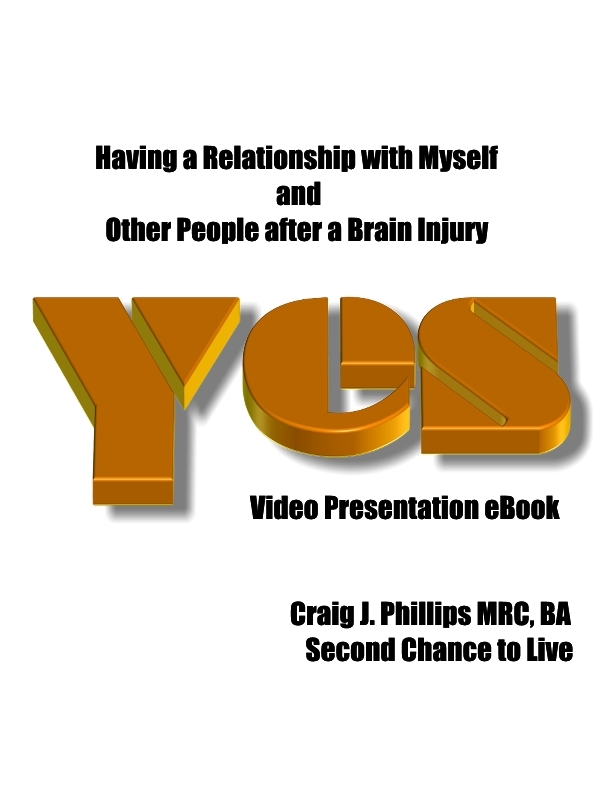 I believe you will benefit from my experience, strength and hope as a traumatic brain injury survivor. Please keep me posted Sarah as to how James is progressing. Please feel free to ask more questions. God bless you Sarah. One day at a time. What a great thing you are doing! I sustained my T.B.I. back in 1997 and have, I believe, come to terms with the new me. I also realize what a blessing it is to live. Each day I thank God for giving the opportunity to grow and learn new things. It is amazing what the human body and mind are capable of. My injury was incurred by the ever dangerous act of skate boarding. Unfortunately I was not wearing a helmet at the time and have dedicated the last ten years to speaking to local schools, boy scout troops and basically whoever will listen to the importances of helmet safety. A good friend who is no longer with us coined a phrase that I will never forget and tell to all who listen to my message… “Helmets are cooler than a coma”. 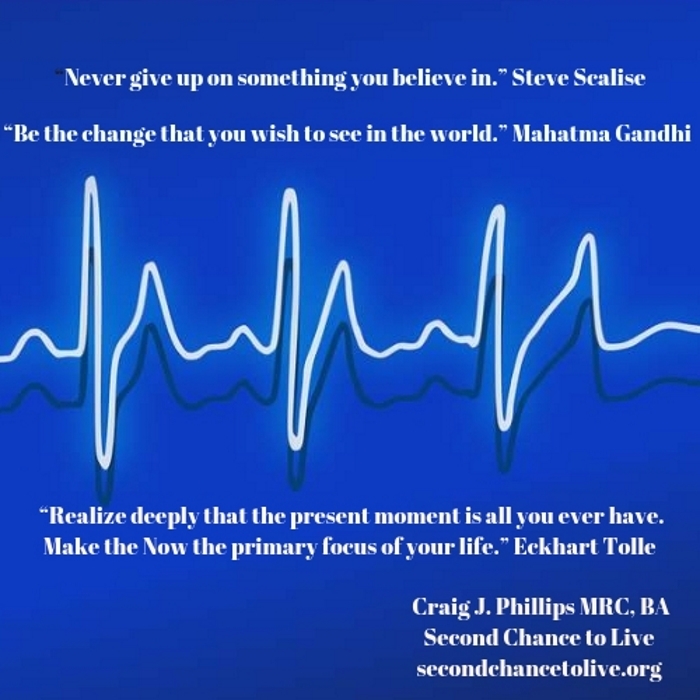 Keep up the great work and I look forward to reading updates on Second Chance To Live. If there is ever anything I can do to assist you, just ask. Just me again – I guess I’ve found an outlet and now the dam has burst!! I keep obsessing about my sister’s comment on how I’ve always hated her kids – I don’t. She is just a very bitter person – I say this – to myself – I does ring true to me. You are very welcome. I believe I understand how you would be frustrated Judy. Elizabeth Kubler-Ross in her book, on Death and Dying talks about the stages of grief. Grieving is not limited to the death of a loss of a loved one. Grieving can be experienced with any loss. I speak about the five stages in my post, Hello World. http://secondchancetolive.org/2007/02/06/hello-world/ In Second Chance to Live I speak to many of the symptoms of growing up in the disease of “ism”. Dysfunction begets dysfunction kind of like ignorance often begets arrogance. 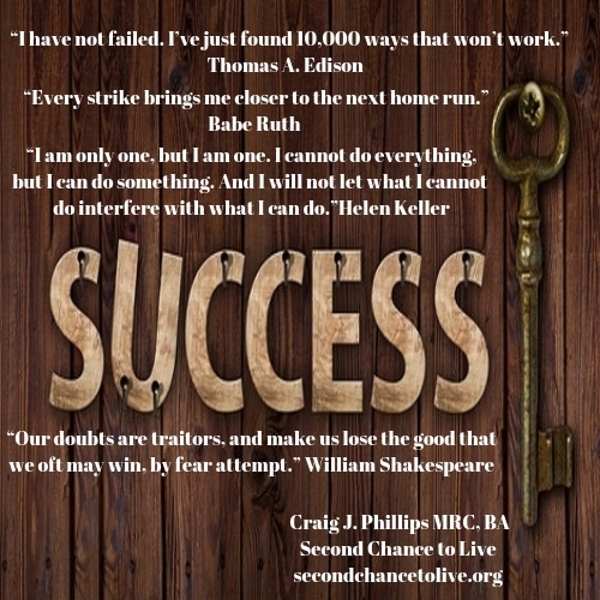 I discuss the 3 family rules in Don’t Talk, Don’t Trust and Don’t Feel, http://secondchancetolive.org/2007/05/24/don%e2%80%99t-talk-don%e2%80%99t-trust-and-don%e2%80%99t-feel/. I have many other posts that speak specifically to traits that are learned in order to survive in a family system that chooses to not talk, trust or feel for whatever reason. 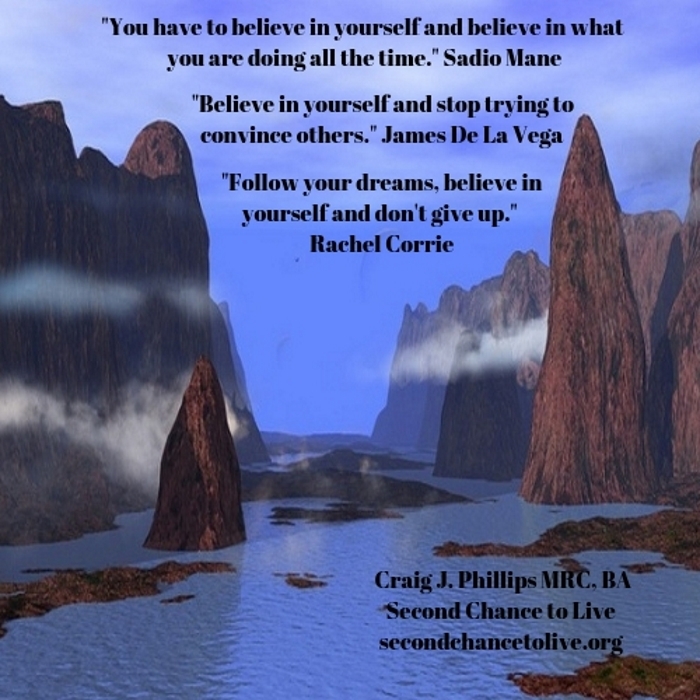 In my article, Whose Shame are You Carrying, http://secondchancetolive.org/2007/05/25/whose-shame-are-you-carrying/ I speak to the nature of shame and the shame transfer that occurs when people do not know how to or want to deal with their unresolved loss and pain. In one modality of understanding, the behavior of a shame transfer is called, passing the hot potato. In the event that the person does not want to or is unable to process unresolved shame and guilt those individuals may chose to project their shame and guilt onto other people, places and things through blaming, shaming and scapegoating. Through my process I have learned that I am responsible for my happiness, whether the alcoholic is still drinking or the family member is acting out in some other way. I have also learned that we do not have to be alone in our process. 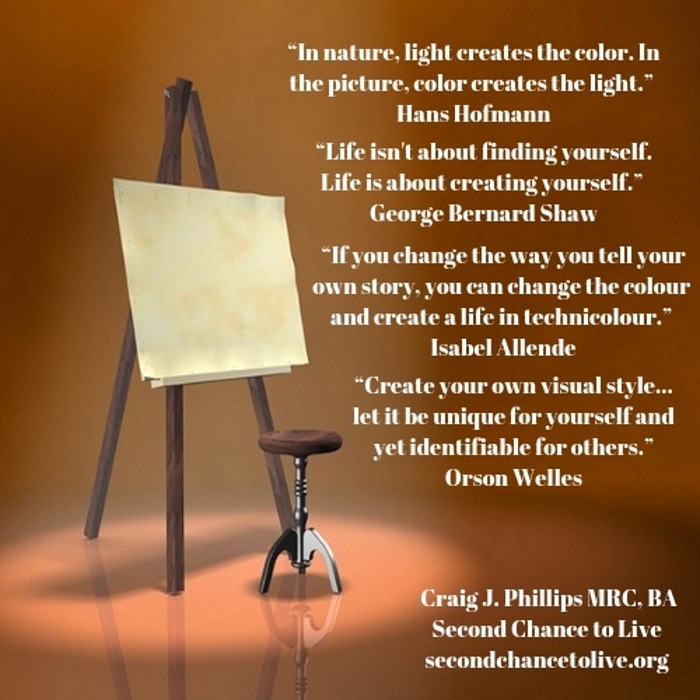 Please read my post, The Power of Identification, http://secondchancetolive.org/2007/04/18/the-power-of-identification/. The disease of “ism”, whatever the “ism” may be is a disease of isolation. Through being involved with a support group we can come out of hiding and begin to heal little by little. The “ism” that I grew up in was perfectionism. 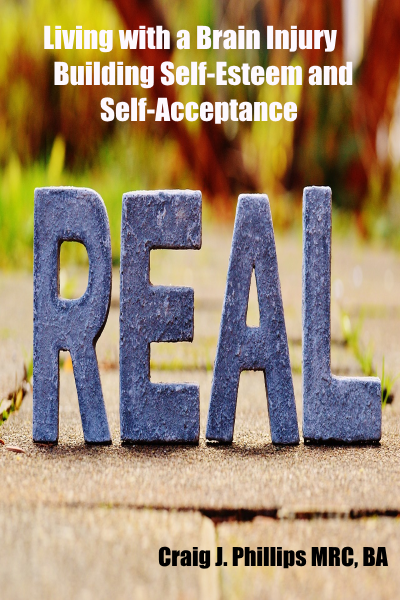 Through attending ACOA meetings, Al-anon Meetings and Codependency Anonymous meetings, and through working through the 12 Steps, adapted from Alcoholics Anonymous I began to thaw emotionally and spiritually. Through my process, I have learned that when I place unrealistic expectations on other people, God or myself, I set me up to live in a world of resentments. I have heard that expectations are premeditated resentments. Unrealistic expectations are extremely depleting. Judy, I am in the midst of writing a post that addresses these issues. I may be ready to publish the post sometime tomorrow afternoon. Thank you for leaving a comment. I appreciate your time and kindness my friend. I am proud of you for the progress you have made Sandra. You are an inspiration to many, I am sure. I am not a Dr., so I can not give you any medical advice. 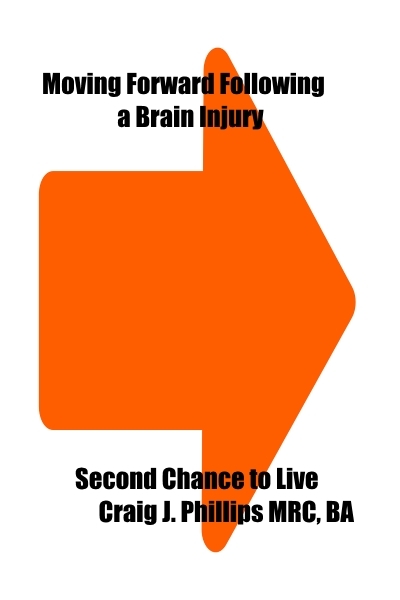 I shed light on living with a traumatic brain injury through out my 233 posts that are found in my Site map http://secondchancetolive.org/site-map/ and I would encourage you — as you get the time — to read through the titles on my site map. 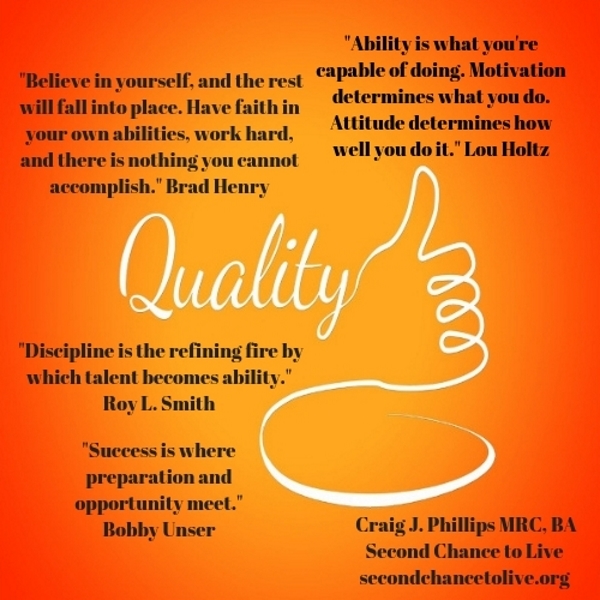 Not all of the titles have traumatic brain injury or living with a disability in their titles, however each of the posts listed in the site map have principles that have enhanced my life. Click on the link — title — and you will be taken to the article. 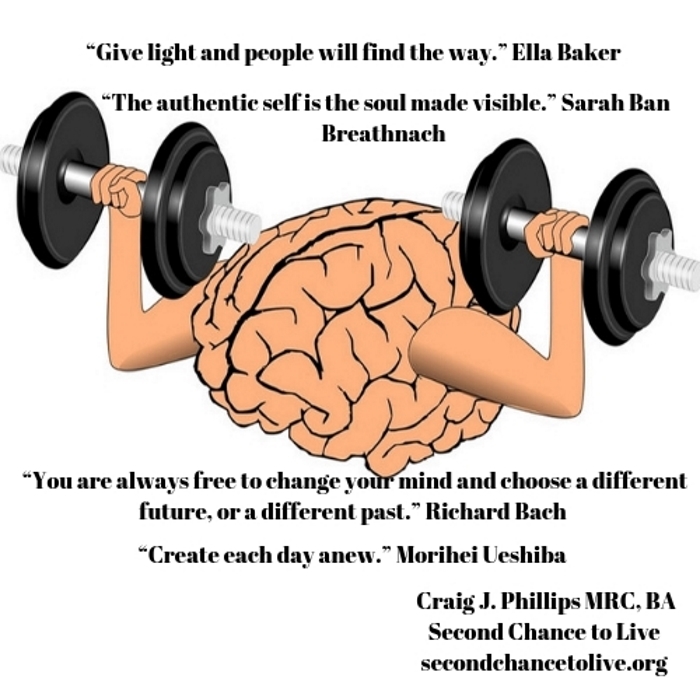 If you have any questions about what you read on Second Chance to Live, please do not hesitate to reach out to me or to others in the brain injury community because you do not have to be alone, Traumatic Brain Injury and Resources http://secondchancetolive.org/2008/02/20/traumatic-brain-injury-and-resources/ where you live Sandra. I will say so long for now. Thank you again for leaving a comment. Have a simply amazing day my friend and God bless you! 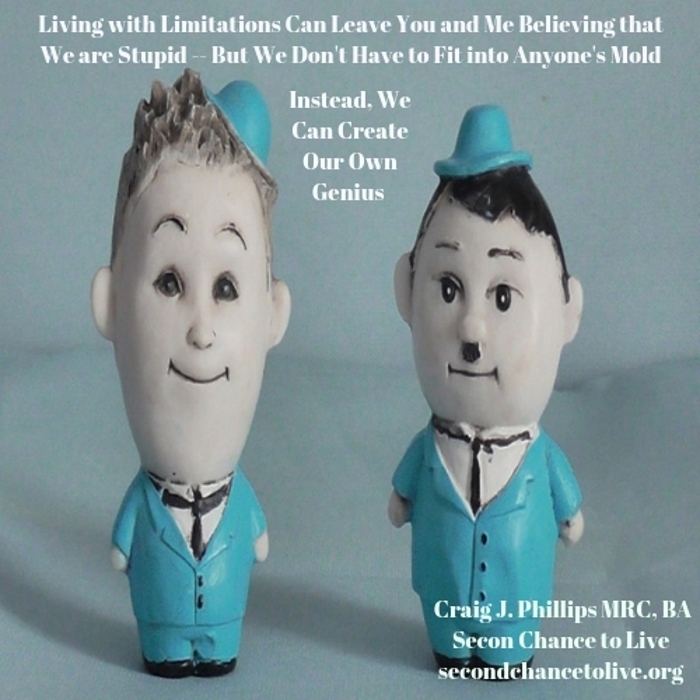 Note: Please click on the blue links above, as they will take you to the articles on Second Chance to Live. In the event that the links do not work for you, copy and paste them in your browser and click Search or enter on your keyboard — which you are typing on — and you will be directed to the articles. Thank you for taking the time to leave a comment. I read your story on your my space page and applaud your tenacity and determination to make a difference. You are to be commended for your dedication. Thank you!!! Although, by policy do not add peoples web sites to my blog roll, I have added you to my blog roll. I am very impressed by your courage. I too have been rejected and misunderstood many, many times through out my life time because of my disability — which is of an invisible nature — as your acquired brain injury is I believe. I applaud your choice to not give up on your process, a loving God or on your self my friend. 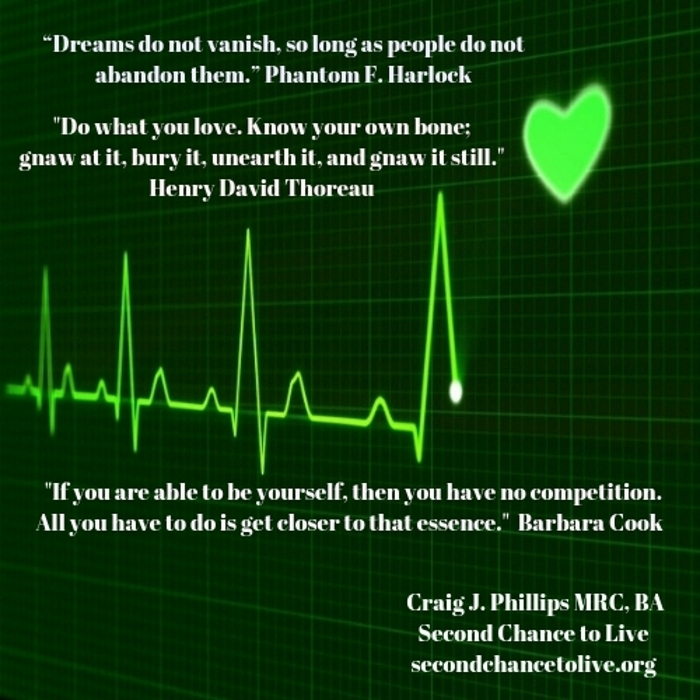 Look at my blog roll in my left side bar on Second Chance to Live http://secondchancetolive.org/ to see if I put your name in the right order. I am not sure if your name is Sear Craig or Craig Sears. I am proud of you my friend. You are truly an example of stellar proportions! I applaud you Craig Sears!!! 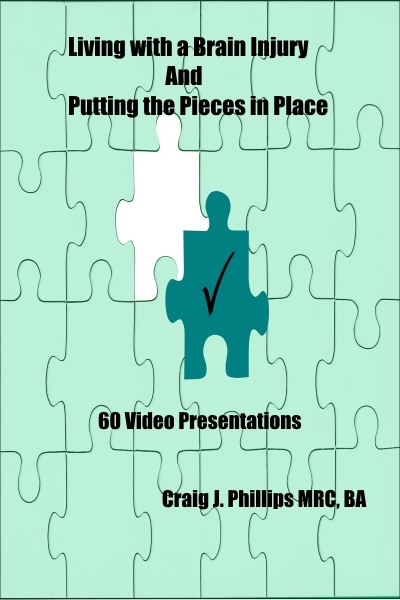 Could you please send me your email address as I would like to make some suggestions per you stories presentation? Every thing looks good. 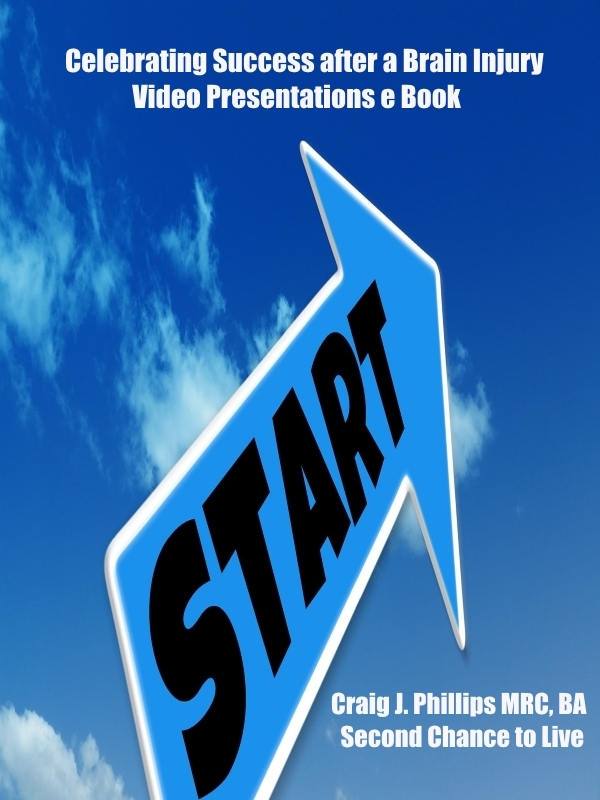 I just have some suggestions that I believe would enhance your stories presentation my friend. 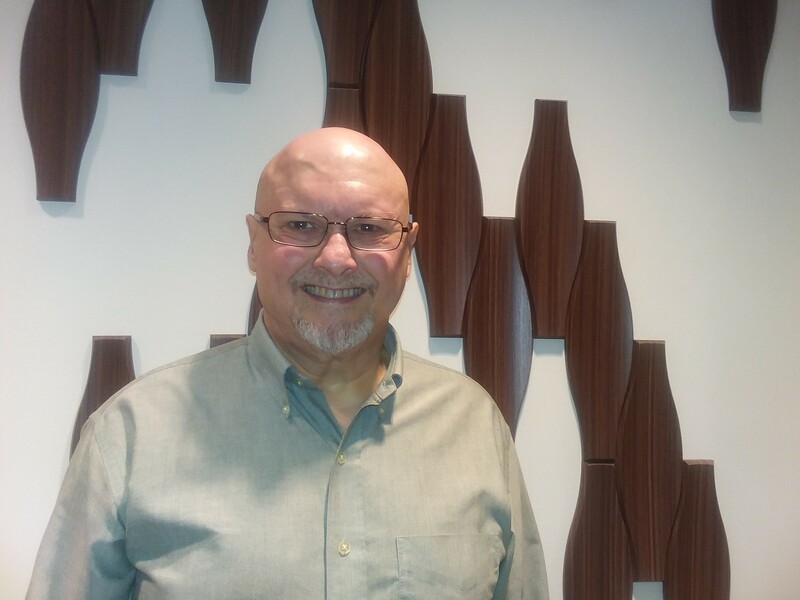 I am a TBI survivor of 30 years from a vehicle accident. I experienced a contusion, multiple skull fractures, and so forth. I am blessed with a supportive family and the best care available at the time. I was mainstreamed into an active life which is the best if people can. I worked in various jobs along the way. I acquired a job working as a job coach to others and developing a brain injury mentor ship helping others learn rehab strategies. I acquired my bachelors and work at an independent living center in Texas. 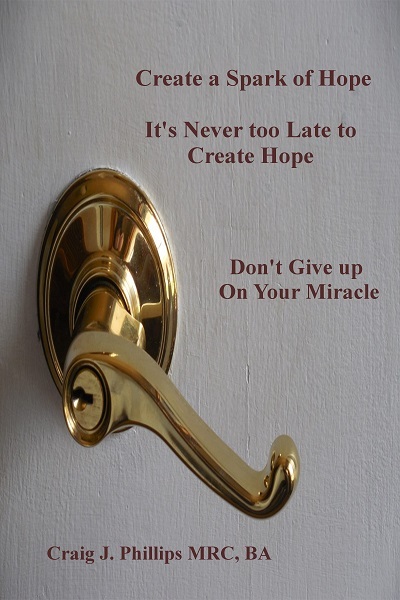 I try to encourage others to reach their hopes & dreams as I have done very well. There are moments that I realize I still have deficiencies but to go on living accepting these things I call experiments. 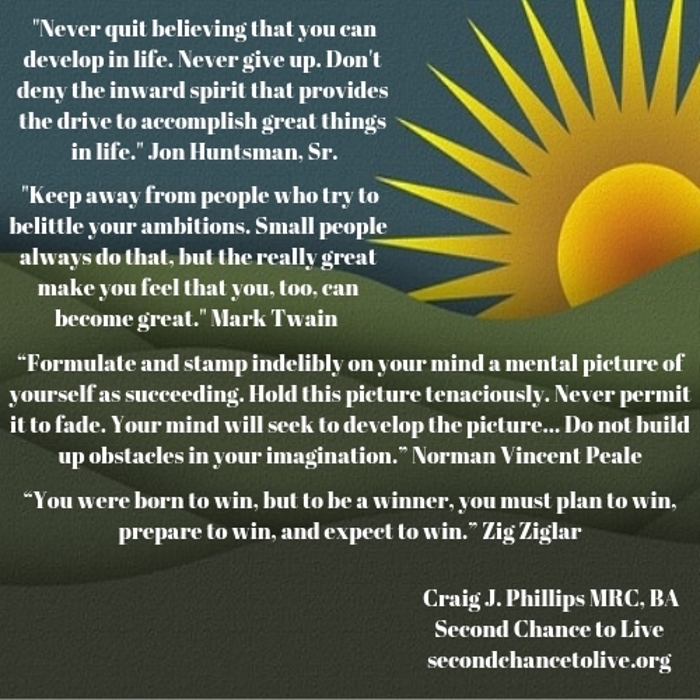 Thank you so very much for taking the time to visit Second Chance to Live and to write to me. You are a blessing to me. Thank you for sharing a little of your story with me. I am proud of you Sir. You are definitely an inspiration and a blessing to those individuals that you serve. God bless you my friend. How can I be of service to you Bart? Thank you so very much for taking the time to write to me. I am honored by your kindness. Thank you for sharing some of your story with me my friend. I can identify with you. In 1967 neurological rehabilitation was not available either. Congratulations on your accomplishments Dena. I am proud of you. I agree with you. Recovery is a daily process indeed. 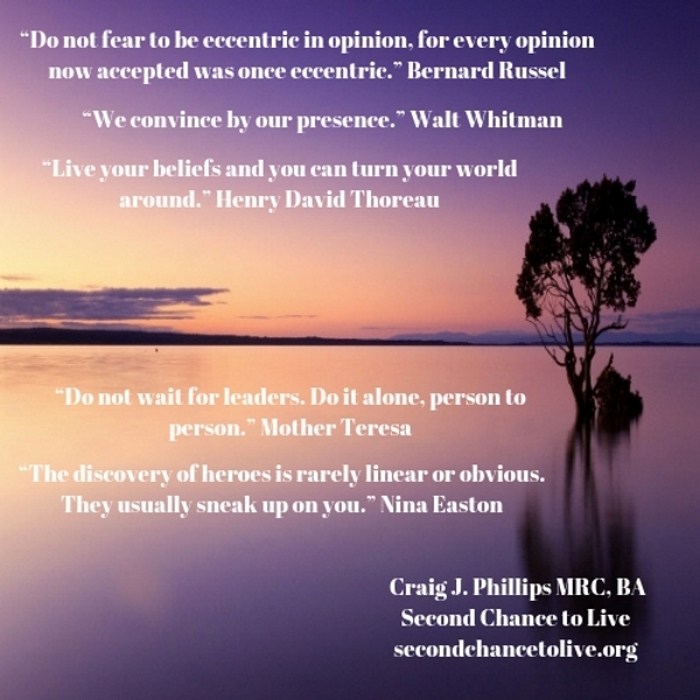 Please feel free to read articles from my Site Map http://secondchancetolive.org/site-map/ as you may be able to benefit and identify with my experience, strength and hope. 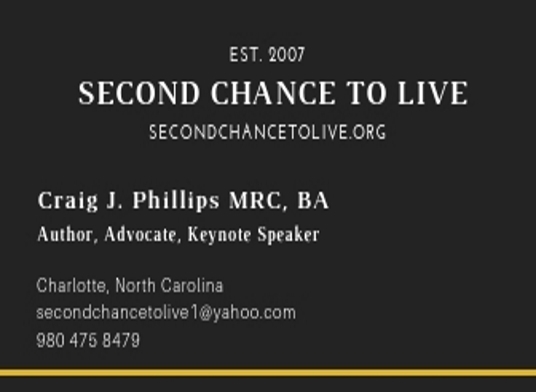 Currently, there are 422 articles presented that I have written and published for Second Chance to Live. 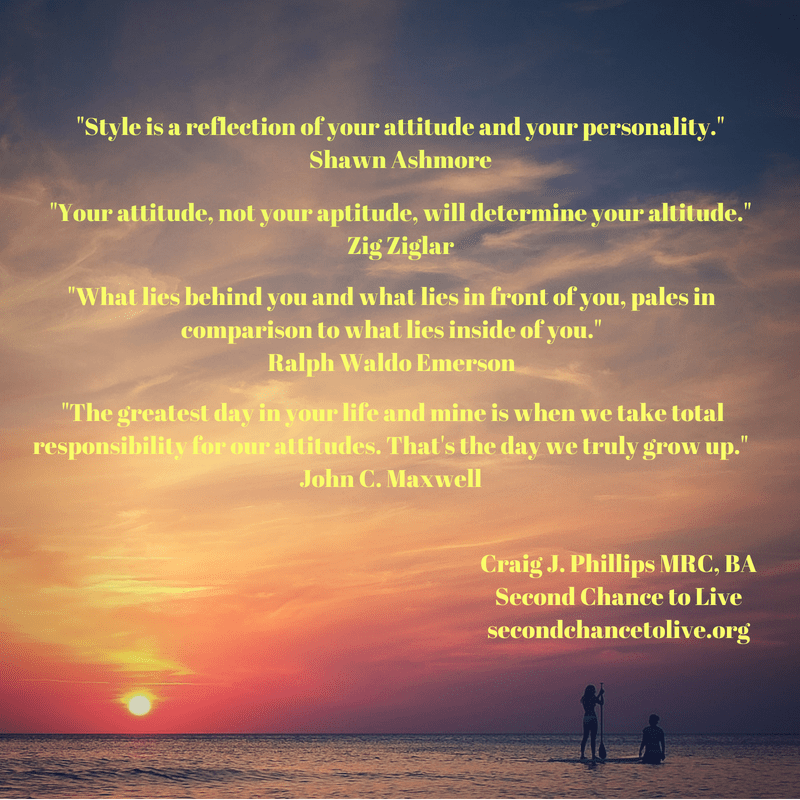 Although not all of the titles to my articles have traumatic brain injury, acquired brain injury or living with a disability each of the articles that I have written contain encouragement, motivation and empowerment for living life on life’s terms. If you have an questions my friend, please do not hesitate to ask. I would be honored to be of service to you. I have nursing training on the LPN level too, however because of the deficits and limitations due to the brain injury — which I had no idea factored or contributed at the time in 1980 — I was terminated from the program with 2 weeks left of a pediatric rotation, and then 6 weeks of a neurology rotation before graduation. 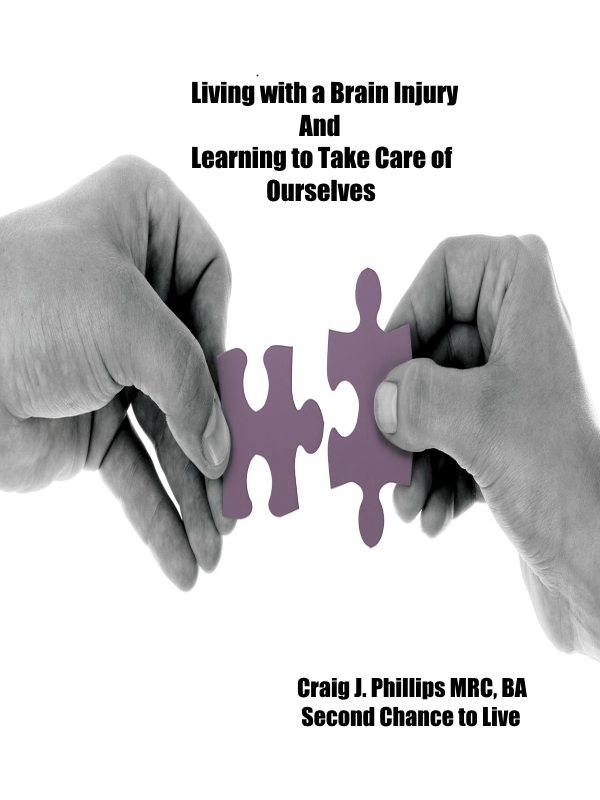 The neurological rotation may have opened my eyes to what happened to me, but that was not part of the plan. Since that time — as you may have read in My Journey thus Far — I obtained my undergraduate and graduate degrees with much struggle. 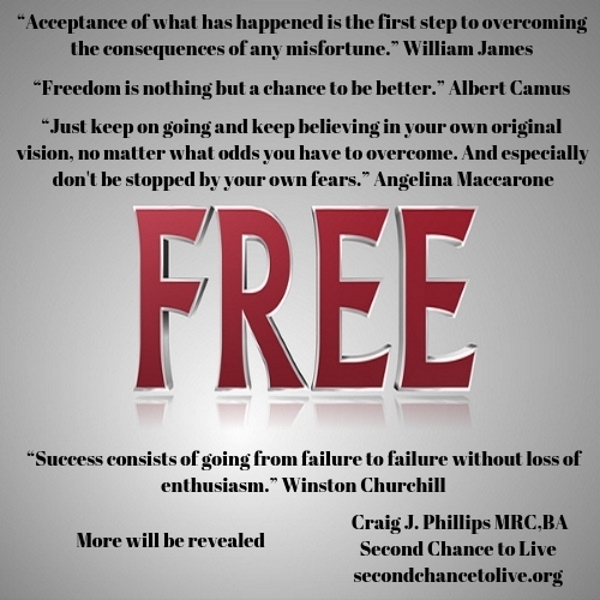 I needed to struggle to learn the lessons that prepared me to do what I am doing with Second Chance to Live. Below are several articles that I have written that you may find to be informative and helpful Dena. Let me know if I can answer any questions my friend. Have a pleasant day and God bless you Dena.